to see more pictures and read comments from past buyers. How our pets spend their time when we are between litters. Miss Prada loves swimming in the pond on hot sunny days. The perfect soccer team for an only child. Flavio(from a friends kennel) is blocking and Miss Prada is going for the ball. Duke is headed to the sidelines. Prada at the beach at Mary's Point when the tide was out. She was running after a seagull in the mud up to her knees. Prada and Duke team up to play soccer with our daughter Jade. The white poodle is Flavio from a friends kennel. My Prada the rock climber. Taken at Mary's Point beach. Prada and our little old girl Scampie. Scamp is now 11 years old and has been such a dear family member. 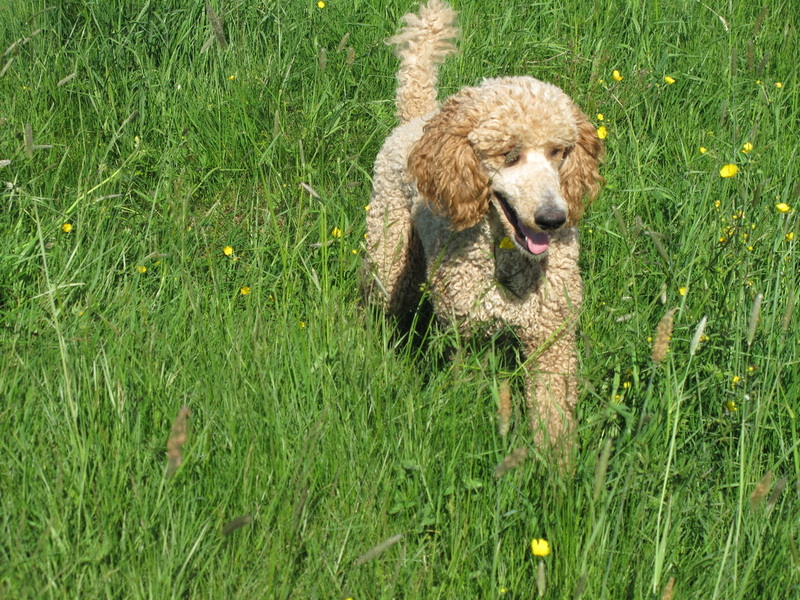 Prada with her longer hair, doing what she loves best, running freely among the wildflowers in the field. 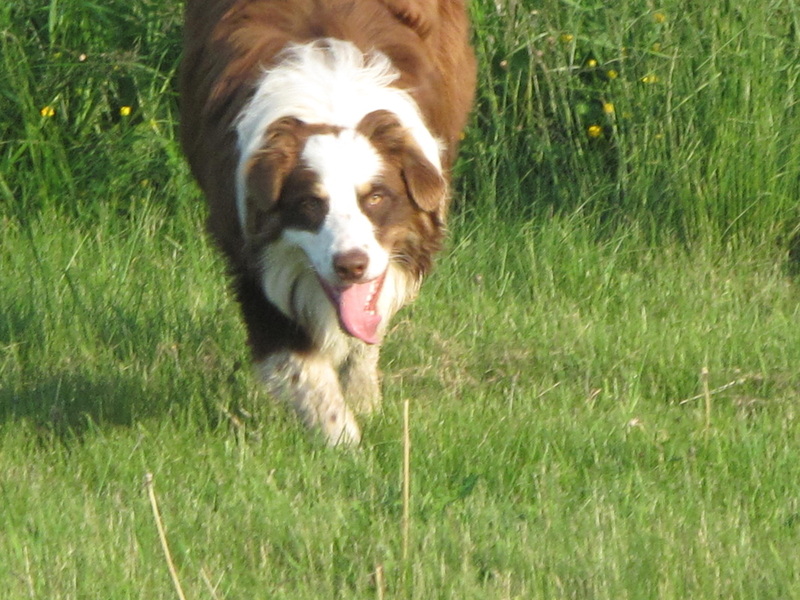 This is our Australian Shepherd, Buddy. 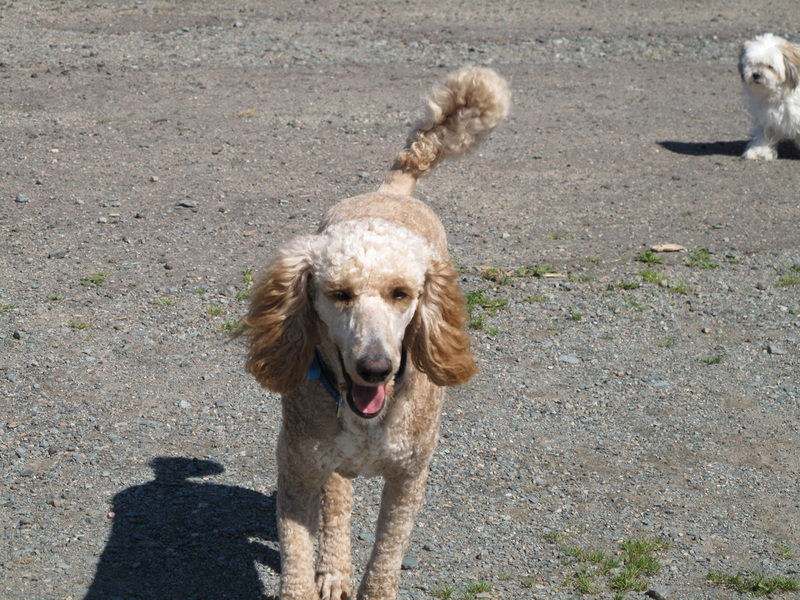 Buddy is a beautiful tender hearted dog and is very gentle with the Standard Poodle puppies. 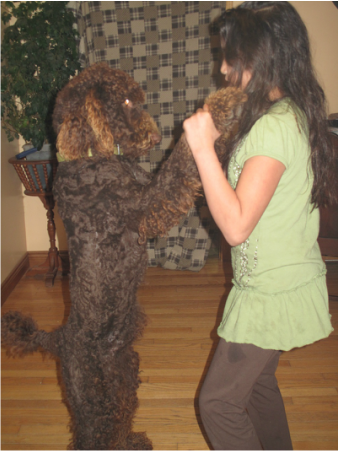 Buddy is a loved family pet and sire to our beautiful Aussiedoodle puppies. We have been blessed with beautiful, gentle pets that have all become close family members. Breeding is secondary to the love we have for our dogs.